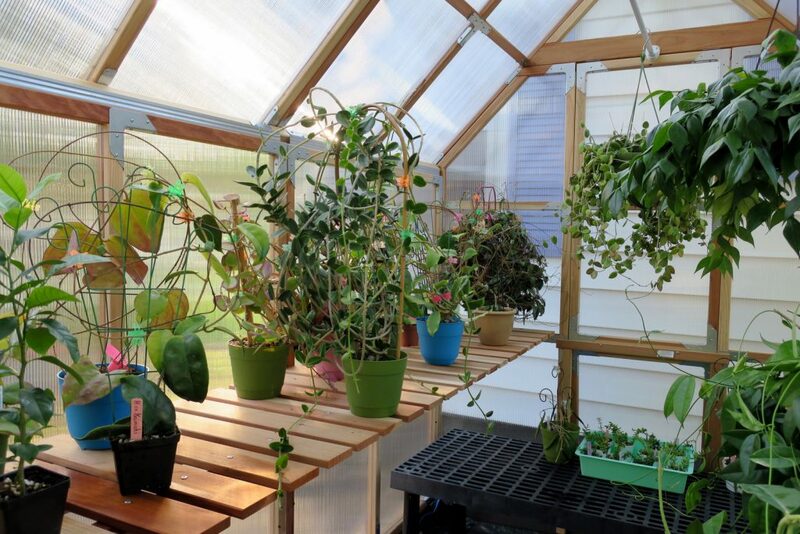 Here is a photo of the Hoyas inside my new greenhouse. It is far more crowded than when I first took this photo. This entry was posted in Hoyas on July 12, 2016 by Doug.